A professional organizer turned amateur detective restores order to a tightknit and quirky community in this California-based, character-driven, cozy mystery series. Maggie McDonald’s skills are tested when murder rends the social fabric of her hometown. Calling on the resources of an engaging cast of friends, family, and local business owners, only Maggie can set things right and bring bad guys to heel. Mary Feliz writes the Maggie McDonald Series of cozy mysteries featuring a professional organizer and her sidekick golden retriever in California's San Francisco Bay Area. Address to Die For, the first title in the six-book series, was named a Best Book of 2017 by Kirkus Reviews. All of her books have graced Amazon's best seller list. A resident of Northern California for decades, she now lives on Monterey Bay, enjoying the area's myriad natural treasures. She attends organizing conferences in her character's stead, but Maggie's skills leave her in the dust. I’m a certified California Naturalist. Part of my job is to help people learn more about the beautiful, valuable, and diverse natural world of California: animals, plants, geology, and climate. And to give back to the natural world that gives us all so much. You might find me peering at birds, admiring a sea otter, or stomping through mud to help create a safe habitat for endangered snowy plovers. 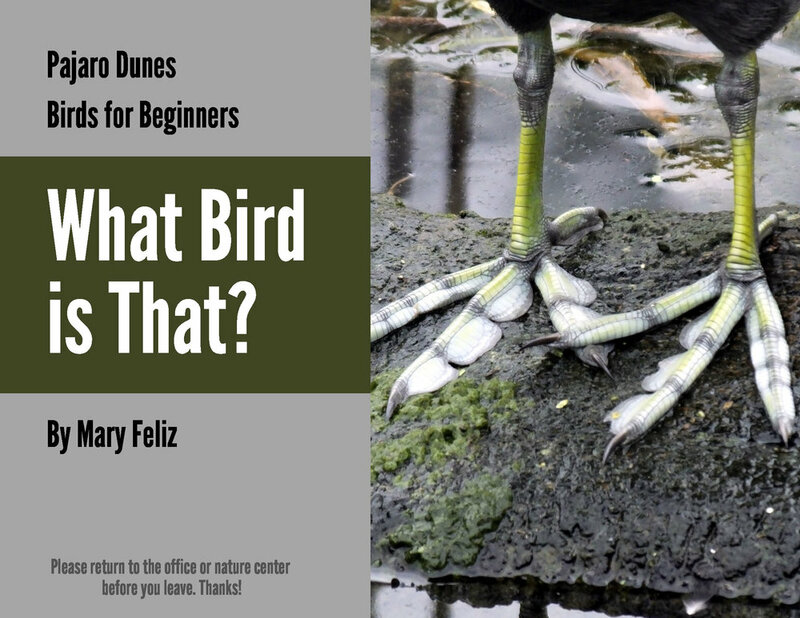 For my capstone project, I created a 36-page bird book highlighting the most interesting and most common of the avian visitors to Pajaro Dunes and the Watsonville Wetlands. My goal was to include key information but keep it simple and entertaining. I'd love to stay in touch. Sign up to receive occasional updates about upcoming books. I despise spam and respect your privacy. I will never share your information with anyone or anything. Promise. © Copyright Mary Feliz. All rights reserved.